Taylor is a Production Manager at SERVPRO of Cheatham, Robertson and Dickson Counties and has been with the company since 2014. 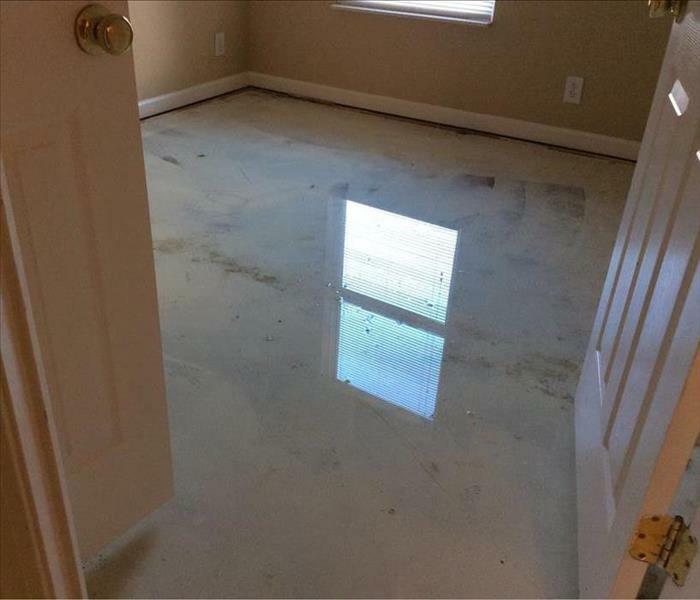 He has several years of experience of in the restoration and environmental services industries, and holds the following certifications from the Institute of Inspection, Cleaning and Restoration Certification (IICRC): Water Removal, Applied Structural Drying, and Fire and Smoke Restoration. Outside of work, Taylor enjoys spending time with his family and hunting. 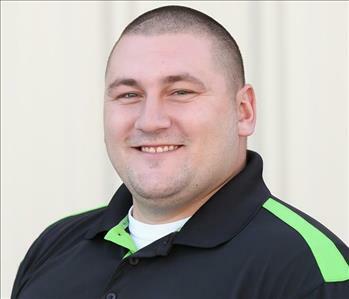 Dakota is a Production Manager at SERVPRO of Cheatham, Robertson and Dickson Counties and has been with the company since early 2016. He is also a Certified Water Removal Technician by Institute of Inspection, Cleaning and Restoration Certification (IICRC). Outside of work, Dakota enjoys coaching his son's Jr. Pro Football team, lifting weights, and cheering on the Alabama Crimson Tide and Tennessee Titans. 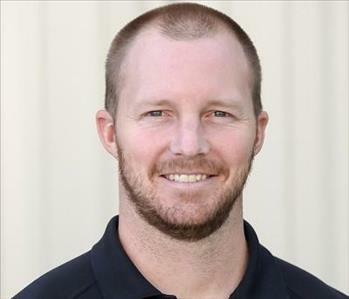 Andrew Jarratt is the Construction Project Manager at SERVPRO of Cheatham, Robertson and Dickson Counties and has been with the company since 2013. He has several years of experience in construction and oversees all aspects of our construction/rebuild projects including estimating and job scheduling. He also holds a degree from Middle Tennessee State University. Outside of work, Andrew enjoys spending time with his family, stand up paddle boarding, and playing hockey. Wendy is the Office Manager at SERVPRO of Cheatham, Robertson & Dickson Counties and has been with the company since 2015. She has 5 years of experience in the restoration industry, and oversees all office procedures including scheduling, accounting, and job file management. She also has a Master Certificate in Human Resource Management from Austin Peay University and holds the following certifications from the Institute of Inspection, Cleaning and Restoration Certification (IICRC): Water Removal, Applied Structural Drying, and Fire and Smoke Restoration. Outside of work, Wendy's top priority is her daughter, Aleena, but she also enjoys watching movies, spending time outside, and learning new DIY skills. 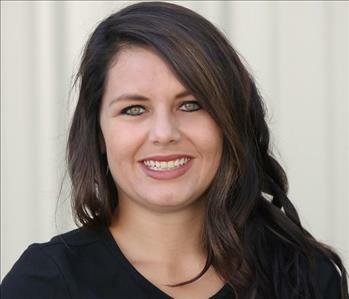 Becca is a Job File Specialist at SERVPRO of Cheatham, Robertson and Dickson Counties and has been with the company since 2014. Her determination and attention to detail make her a great asset to our company and valuable resource to our clients and customers. She also holds a Water Removal Technician certification from the Institute of Inspection Cleaning and Restoration Certification (IICRC). 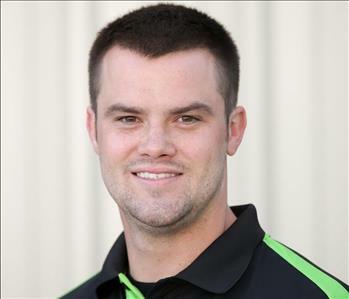 Brice Cordell is the Marketing Manager at SERVPRO of Cheatham, Robertson and Dickson Counties and has been with the company since 2013. His industry knowledge and outgoing personality make him a great ambassador for our company and resource for our clients. He also holds a degree from the University of Tennessee. 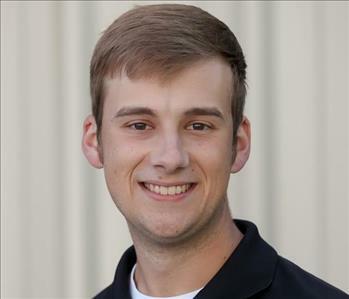 Outside of work, Brice enjoys playing golf and cheering on the Tennessee Vols and Tennessee Titans. 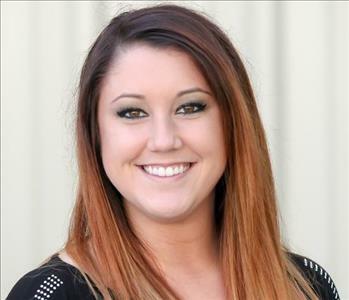 Katie is the Marketing Support Coordinator at SERVPRO of Cheatham, Robertson and Dickson Counties and has been with the company since 2014. Her knowledge, friendly demeanor, and helpful attitude make her a valuable asset to our company and customers. She also holds a Water Removal Technician certification from the Institute of Inspection Cleaning and Restoration Certification (IICRC). 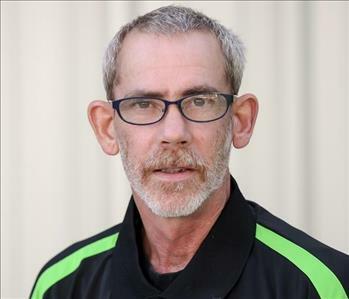 Mark is somewhat of a 'Jack of All Trades' for SERVPRO of Cheatham, Robertson and Dickson Counties and has been with the company since 2014. He is our Warehouse Manager, a Production Technician, and even our in-house IT specialist from time to time. He has great mechanical knowledge and keeps all of our equipment and vehicles in top running shape. Outside of work, Mark enjoys fishing.